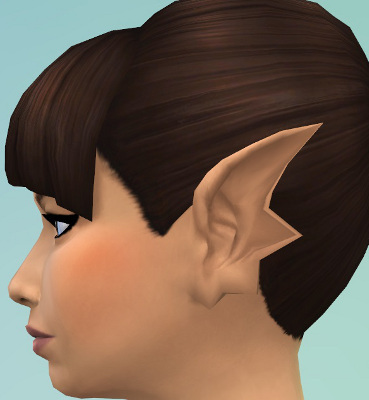 This is a CAS ears preset giving your sim mermaid ears. 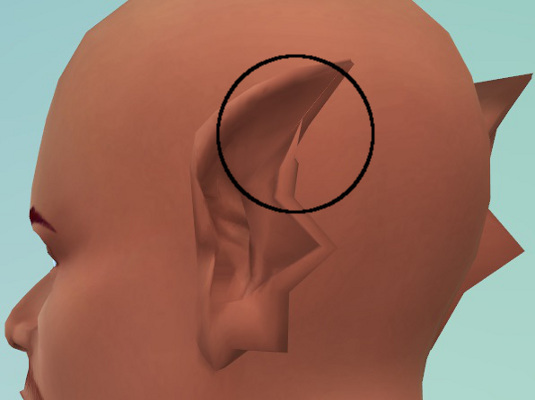 I've named this shape 'Swept' for no particular reason. 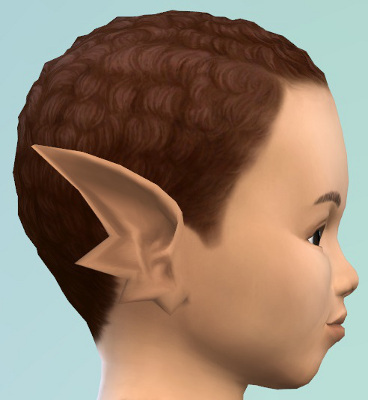 Works for toddler - elder, both sexes, both frames. All the LODs are done but due to the lower poly meshes the quality drops off in lower LODs as you'd expect. 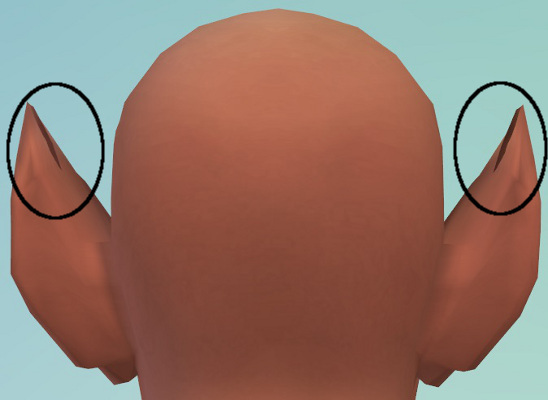 There are a couple of glitches I haven't yet been able to get rid of despite considerable effort that become quite noticeable from the back if you make the ears big with the EA ear size slider and/or rotate them out with the EA ear rotation slider. (You can see them in two of the pictures.) 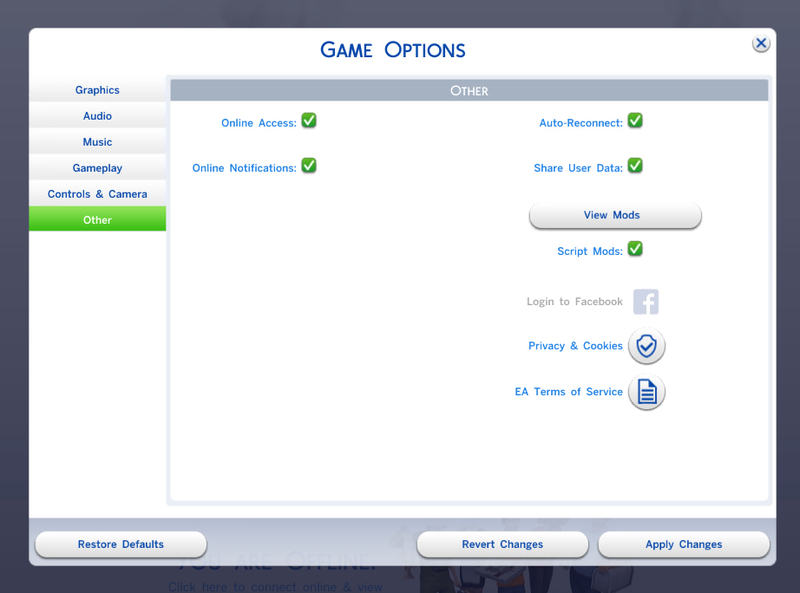 There may be similar problems when combining with custom sliders. 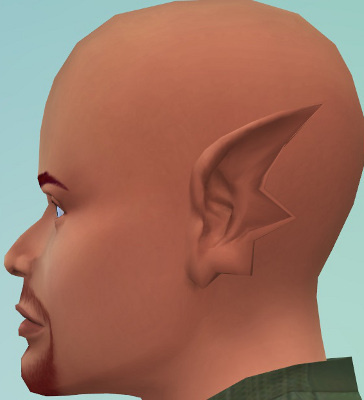 It plays surprisingly well with the alien ears slider, giving you an extra point. 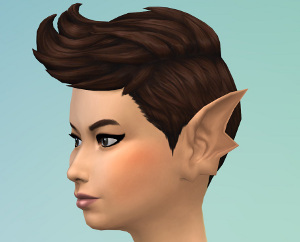 Made with my TS4 MorphMaker tool which I hope to release in semi-final form soon. There are of course other shapes that can be done. 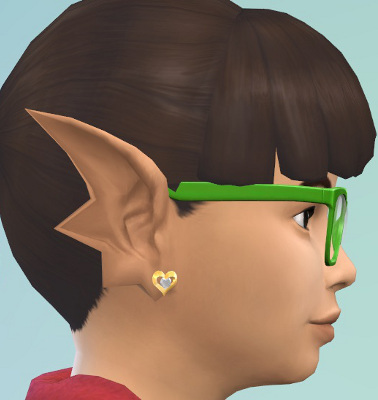 I'm not the best mesher and found the TS4 ears difficult to work with, so I hope people with more skills will do them!